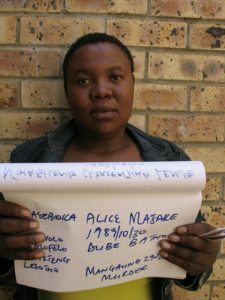 FREE STATE – The Directorate for Priority Crime Investigation (Hawks) in the Free State province is appealing to members of the public with information regarding the whereabouts of the four (4) suspects Lira Morienyane (39), Ntabiseng Lempe (34), Alice Majake (28) and Andile Gxamza (33) to contact them immediately. The suspects are wanted in connection with a murder case which took place at Phahameng in Bloemfontein last year March, during which a well-known tavern owner Mr Alfred “Chencha” Helepi (70) was shot three times at his tavern and died at scene. The suspects allegedly took an undisclosed amount of cash and fled the scene with the deceased’s vehicle which was later found abandoned at Phelindaba not far from the scene. 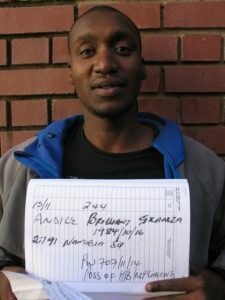 A warrant of arrest was issued after they were all let go on 11 November 2016 following an order by the Bloemfontein High Court after the Regional Court struck the matter of the roll. 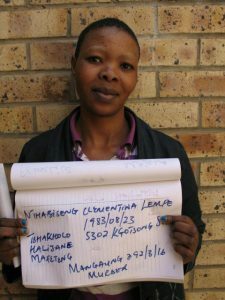 They had been in custody since their arrest in May shortly after Helepi was murdered. 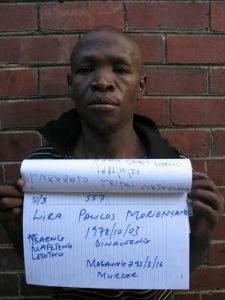 According to documents, the suspects Morienyane, Lempe and Majake are Lesotho nationals and Gxamza is from Port Elizabeth.